Hello all!! I decided that a good way to start off a new week would be changing 'Manicure Tuesday' to 'Manicure Monday'.. has a better touch to the name don't you think? Hopefully I can get my nails done before Mondays haha. Well the NOTW that I will be showing you today will be featuring one of my favorite fall polishes (post on 'favorite 10 polishes for fall' will be up soon). If you enjoy the sneak peek photo, go ahead and read on for more photos and the product list! I absolutely fell in love with this OPI nail polish (I don't give a rotterdam!). It is the perfect fall blue if you don't want to go completely dark for fall. It is a pretty mellow sky blue with silver sparkles! I am telling you if this is not in your nail polish collection go out and grab it! I have been wearing it for the past 2 1/2 weeks! First alone and then with the nail art you are going to see down below. Once again I did each hand a little differently. Here is my right hand. The polish color varies depending on the flash and light. It shows you how my nails look before each step. Here is my left hand. I did it slightly different and you can see in the end I removed the nail tape I had in the beginning. Above you saw how the OPI polish looked with a glossy top coat here it is matte! It is lovely matte as well and let me tell you.. I am not a fan of matte polishes, so it means something coming from me. In the end I decided to leave my thumb and middle finger matte while adding a gloss top coat to the rest of the nails. 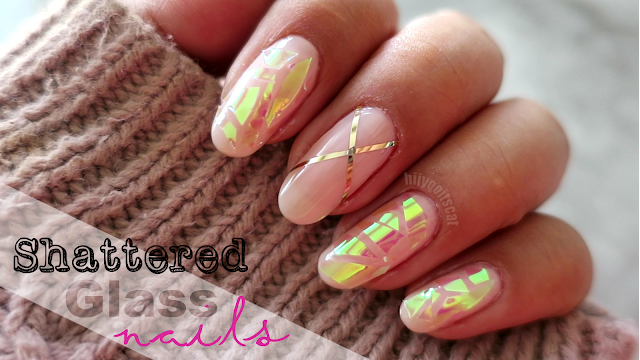 Love this manicure! I think I went a little out of my comfort zone by using different images on one nail. Silver and blue go well together and I have to say this manicure has lasted me quite some time now. I am working on a few Halloween, Disney princess and Birthday nails.. since my birthday is coming up =).. Also working on some Halloween make-up looks as soon as I can get myself to drive to party city for some face paint lol..
YAY! I'm glad you like it! I had to find a way to use the bird haha.. I know right! I was thinking of scales too! almost used the octopus haha! =) thank you!!! Can't wait to see what you come up with .. using your plates!